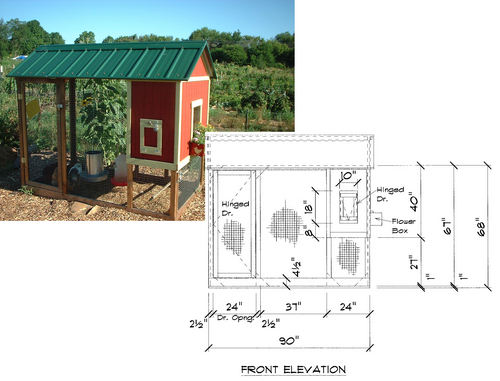 These are detailed plans for the construction and assembly of the Playhouse Coop. This backyard urban poultry house was designed with three groups in mind: chickens, predators and neighbors. It is comfortable, impenetrable and cute. It is adequate to house up to five large breed chickens, providing a nest box, roost space and an adequate outdoor run, all under one roof. 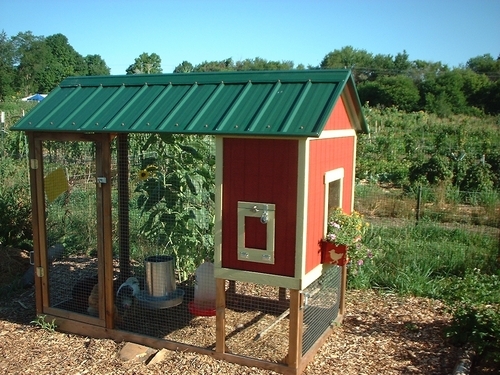 Besides providing a shield against the rain, the roof may also prevent your chickens from coming in contact with wild animal droppings. 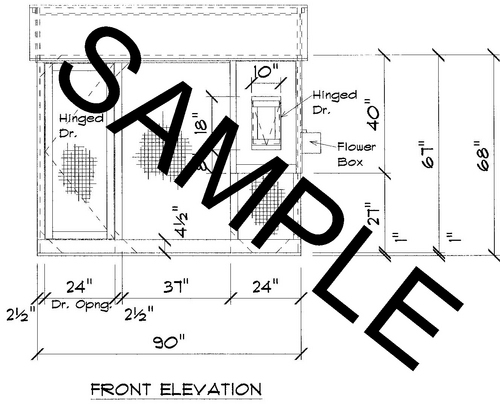 This item is in electronic format(Adobe PDF)! When your payment is processed (1-3 days) we will email you the plans, so please make sure mcmurrayhatchery.com is added to your email client's white list or equivalent! Non refundable item.